That’s precisely the type of service I was hoping you would provide. Thanks again for the efficiency and quick turn around. " Wanted to send you a note to say thank you for all your help today, spoke with many insurers, have to say experience with yourself was by far the most professional and efficient, I’m very impressed and will certainly use you again. " Thank you for sending through the renewal reminder. Due to a change in personal circumstances I recently made the Limited company dormant and therefore no longer require insurances. Thank you for the first class service and competitive Insurance prices that Caunce O'Hara has provided me with over the last few years. If I start the company up again you will be the first place I will come to for my insurance needs. " I'd just like to write to say how impressed I am that the cost of my policies (except the Professional Indemnity policy, the cover of which I increased) has not increased into 2010-11. David made the update as painless as it possibly could be (unfortunately it did cost more!). David was prompt, clear, courteous and did what he said he would do... very refreshing and impressive performance from David and Caunce O'Hara. Many thanks indeed. Thanks for that. I have never been so impressed by an insurance company before. Feel free to quote me on that. "The reason I navigated away and called up was because it wasn't picking up that I wanted £2k of portable equipment cover under the general business insurance plan (can't remember your name for it now). I therefore called in so someone could manually intervene. I was very impressed with the ease of ordering this insurance actually. I thought it was so slick, I wasn't even sure you were legitimate so called BIBA and FSA! It's not really like any other type of insurance experience I have had and your people are really helpful on the phone, so well done. " "Thank you very much for your help this morning. I have now renewed my policy. It was easy to get in touch with you by phone. You answered my query quickly and efficiently. Your website is easy to use and logical. Many thank. I have now received your email so that I can print of my documents. Just to say how impressed I am with the swiftness of your service. You were recommended by my neighbour and what a good recommendation that has proved to be. "I no longer need the cover as per last year as I have scaled down activities drastically. Should I ever need it in the future I will definitely come back to you as your site was the most easiest to understand and gave one of the best cover packages without the hassle.... Take care." "Thank you for your advice on indemnity cover. It is both thoughtful and helpful and enhances my view of Caunce O'Hara as a company to deal with. I do hope that I will have reason to use your insurance services again soon; I have chanced upon a most professional provider! Just a quick bit of feedback - congratulations on an excellent web-site service. The Public Sector still has a lot to learn! Your services were recommended to me by a friend, Jennifer Farish, who I believe is one of your existing customers. "Fantastic Donna, I have the new certificate. This greatly helps in taking up new opportunities, I’m pleased that I hold the policy with such a flexible and understanding provider, I hope we both benefit with increasing turnover! Many thanks for your help and action, "
"It has been a pleasure dealing with Caunce O Hara and if I require your services again, I will most certainly contact you. Great website - very easy to use for documents. Best I've seen for ages. "I have been pleased with the ease of setup of the required insurance using your company though and will certainly consider using it again in the future. "I would just like to send a quick email as I have just had to renew my business insurance. In this times of ever increasing costs I thought it would be prudent to shop around - it was a very illuminating experience - and very frustrating. Asking for quotes on insurance was straightforward enough, but when the quotes were returned it was found that certain key elements of what was asked for was missing. Several people rang for further details and then didn't return quote details and then I had a very illuminating chat with one of your 'competitors'. He asked what cover I was after and then asked which insurers I was currently with, when I informed him that I was currently with your company he didn't even attempt to sell me a policy - he said that a) you were a well established company with solid underwriting backing up your policies and b) that for the type of insurance I was after I would be very lucky to find anyone who could match your prices (that much I had worked out for myself). He said that he certainly couldn't beat the quoted renewal from your company and that I should be very wary of anyone who could. Basically, he couldn't speak highly enough of your company and your products. I am more than pleased to have confirmed what was already becoming clear and have been more than happy to continue renewing my policy with you. I also have to praise your staff and business practises. I have always found it easy to be connected to a member of staff and have always found staff helpful and quick to deal with any enquiry. I am also very pleased that we have early notice of renewal dates - though next year I may safe some time and effort and forget about shopping around. Thank you for all your help with this policy, I am very pleased with the cover and the cost, you and Anna's efficiency and helpfulness is very much appreciated. "Hi, Last week I purchased both the above from you, online, for my new business. The whole process was extremely efficient, hassle free and customer friendly – many thanks. "Thanks very much, Anna for your prompt and constructive replies. I am suitably reassured. Furthermore I will be recommending your firm to colleagues. Thank you for the swift, easy and simple information you provided to me over the phone this afternoon. Based on the conversation with you and a quick look at your website I decided to buy the policies from you - I was particularly impressed with being able to immediately download the policies and invoice from your website (you may want to consider having the documents available to download as PDFs). Your competitors either made the process seem very long and complicated, wanted huge, long application forms completed or had very unhelpful websites. I am delighted with the service I have received from your company - the whole process took less than 10 minutes. Thank you. " Gosh what excellent service over a bank holiday !!! 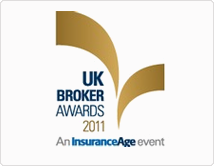 "Thanks Donna for your speedy response and for all your help in setting up the insurances in the first instance. APM Ltd has had a very positive experience with your company and will be happy to use your services in the future." "Can I just add that I have been very impressed by the service offered by your firm over the past four years and also that your site is extremely easy to use and provides an extremely effective means of viewing my company's policies and status of business with your firm." I’ve managed to renew the policy perfectly through your website. I have to say I’m impressed with it and it’s certainly good to have both my policies linked so I can see what’s what really easily. This is a great idea - I'm in Taiwan at the moment and getting an email reminding me to renew online is a great idea. It seems to work too, after I entered my credit card details I could print out a new certificate. Thanks for organising your insurance renewal prompt service. However I have recently taken the decision to discontinue my electronics engineering business, and as a result of this I don't intend to renew my insurance for the coming year. I thank you and your colleagues at Caunce O'Hara for the good service I have received over the years I have been self-employed. " "Thanks for your speedy response. You have renewed my faith in people. Normally, a simple change requires several phone calls and e-mails, but not int this case. Well done. I hope you go far.I wish you well, "
"Also I really value and appreciate your support and efficiency in your help to us as a small business, so much so that I have recommended you and passed your details to one of our potential new customers, his name is Doug Thompson and I hope he gets in contact. :)"
"Thanks Anne - I've done that now. May I say what a pleasure it is to deal with a company whose administration and customer service is so courteous, efficient, and speedy." "Thank you for your e-mail. I am now no longer contracting and do not require insurance any more. Thank you for your continued service over the years, and I will be recommending caunceohara to my fellow contractors. All the Very Best,"
"Can I say how impressed I was with your site and the simple way that it was to complete the forms, plus the fact that I could amend my options to vary the quote until I was happy. Also the web site has proved not to be just a very faceless environment as I have had a telephone conversation when I was not sure of a reply and you have sent me this questionnaire as well. "I have been offered a permanent position within another organisation and therefore do not require the insurances offered. If I was remaining in business, I would not have hesitated to renew. I will continue to refer people to yourselves, as I have been very impressed with your level of service. Thank you and kind regards,"
Director - CBW Projects Ltd.
"Dziekuje za zmiane. Predkosc rewelacyjna. (thank you for an update. Thank you for excellent promp service)"
"The new online login is great - really efficient service as always "
"Thanks for your excellent prompt service, without which I would not be working this afternoon!!!" "I must say I'm impressed with the speed of your response. You are a credit to your organisation." "Many thanks for your greatly appreciated good service. I appreciate you taking such good care of me"